Handsome haul of ruggedly percussive yet svelte Trance-Haus tribalism coming via Barcelona's Hivern Disc imprint - home to John Talabot, Teengirl Fantasy etc. 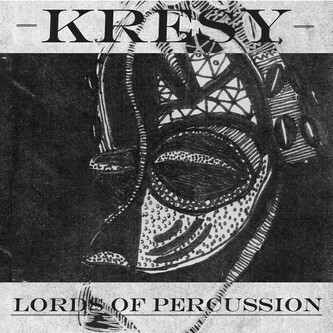 Kresy is the man behind the two original tracks; 'Lords Of Percussion' locks into a stealthy, stylishly uplifting Techno groove with strong shades of classic early '90s Belgian trancers a la Praga Khan, and 'Holding Spaces' treks out into mystical Acid House zones also charted by hardware explorer Legowelt in his many guises. The remixes are suitably ace, too. Kresy's fellow Barceloní Aster drags the tempo of the title track down for a more blunted, narcotic effect accentuated with ritual etheric voices and swirling nEuropean synth vibes, while Uncanny Valley's Jacob Korn lends a sophisticated and widely useful House retool. Very smart stuff.